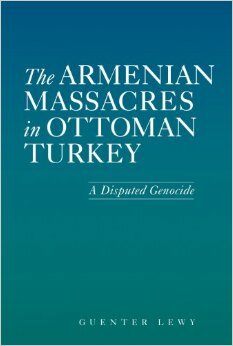 The TDSB (Toronto District School Board) made a decision to teach about the Armenian Genocide in a genocide class. There is a Genocide class introduced to the curriculum for 11th graders in Canada which will teach about the Holocaust, the Armenian Genocide, and Rwanda (For some reason, they find the Cambodian genocide and Darfur as less important). While the Canadian executive leadership has accepted the genocide, there is still some doubt in the position of the Canadian government on the issue; especially considering, that it was a political move to please Armenian-Canadians. In June 1890, Russian Armenian students met in Tiflis, in the Russian Caucauses, in a large convention to discuss the future of Greater Armenia. They determined what would be the best way to unite all revolutionary forces under one new organization, and thus the new party the Armenian Revolutionary Federation or Dashnaktsuthiun party was born. It was founded by Christapor Mikaelian, Stepan Zorian, and Simon Zavarian. This was a resolution created by Democratic representative Adam Schiff, and was presented to the House of Foreign Affairs Committee who accepted it (27 vs 21 votes). An interview with Dr. Justin McCarthy who is a demographics expert and professor of history on the subjects of the Ottoman Empire and the Balkans. Barack Obama's Foreign Policy Blunder! Barack Obama has distanced himself from Turkey (a NATO ally since 1952, that the United States still has many bases in), Azerbaijan, Israel, and even the Iranian-Diaspora. He lost the Turkish, Azerbaijan, and Israeli votes when he tried to claim there was a U.S.-Armenian relationship and pledged to recognize a genocide that many world renowned historians such as Dr. Bernard Lewis, Dr. Stanford Shaw, Dr. Justin McCarthy, Dr. Norman Stone, Guenter Lewy and many other Western scholars dispute. Dr. Justin A. McCarthy is an American demographer, Ottoman Empire expert, and Balkan history expert and history professor at the University of Louisville in Louisville, Kentucky. Justin McCarthy, is best known for his controversial views about the Armenian Genocide thesis and has written books, about the Balkans, Balkan history, the Middle East, and Ottoman Empire history. On October 27th 1999 at 5 PM, armed terrorists killed the Prime Minister and 7 other high ranking officials in an effort to eliminate political enemies of the terrorists. It is rumored that Robert Kocharyan was the mastermind of the attack. Kevork Guzelyan, former ASALA terrorist who attacked Turkish embassy and murdered the security guard in 1981: I would like to pray at Celal’s grave one day. Dr. Bernard Lewis is a world renowned British-American historian on Islam, the Middle East, and the Ottoman Empire. He was a professor in Princeton University's Near East Studies department. In this video, Dr. Bernard Lewis through decades of research states that the killings of Armenians during World War I cannot be classified as genocide. He has advised Western Governments on Middle Eastern policies.